For months, I have been dreaming of this dress. From the moment I saw my fabric, I wanted to use it to make something this sweet. I've been shuffling patterns and combinations of prints around the studio and finally just had to start. 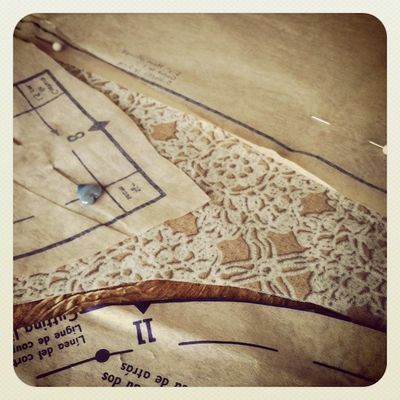 It's been so long since I sewed from a dress pattern. 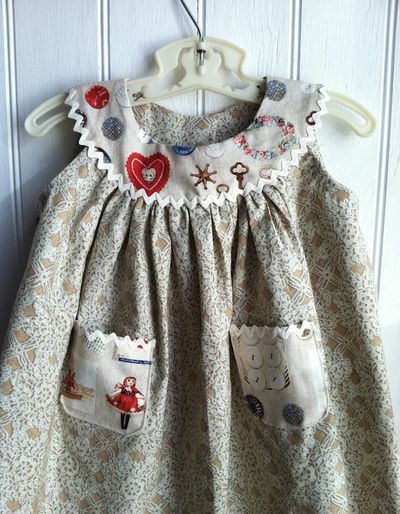 Even though I made all the dresses the girls wore when they were little, an awful lot of time has passed since then. A pattern I picked up at the church sale for 25 cents was the winner here. Simplicity 3807, vintage 1950's. Never used! Written and designed in the vintage pattern language I'm comfortable with, it was also the simple, classic style I was looking for. And, seriously, how cute is this?! The dress is actually the second view of a pinafore for a fussier party dress (as we used to call them), but it allowed me to combine two prints from my Walnut Hill Farm collection. I made the yoke from the Button Box print and the body of the dress from Queen Anne's Lace. I haven't finished them yet, but the bloomers are from Button Box also. The minute I started cutting the pattern pieces, I felt like I was 25 years old again. I know - really, that's all it takes? 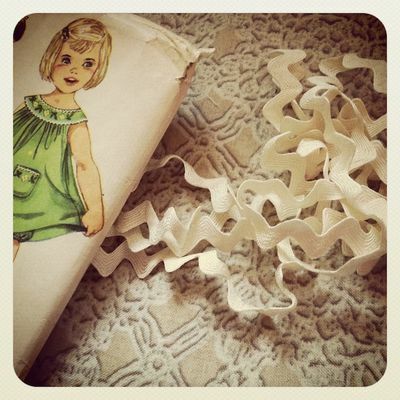 The sound of the scissors crunching the paper, then snapping crisply on the fabric beneath just felt so wonderful. Snipping notches, stacking cut pieces, reading Step 1. It was like riding a bike again. It's not perfect. I fell off the bike a few times. Messed up the pockets, forgot to trim a few seams as instructed. Ripped out the armhole facings twice. I spent the whole day on it and was finishing up some of the handsewing at dinner time, realizing it was dark. Lucky for me, the baby girls grew up to be amazing cooks. Such a happy day! 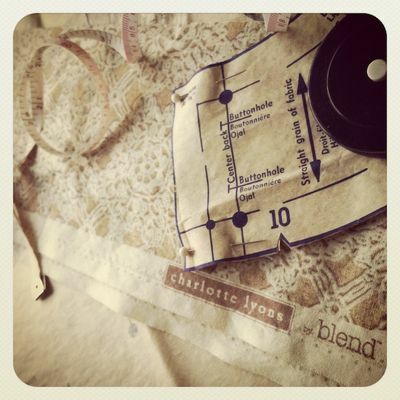 If you are going to CHA, do stop by Anna Griffin's booth #973 (Blend Fabrics). The dress will be there along with some of the other projects I made for the collection. I'll be in and out of the booth too!